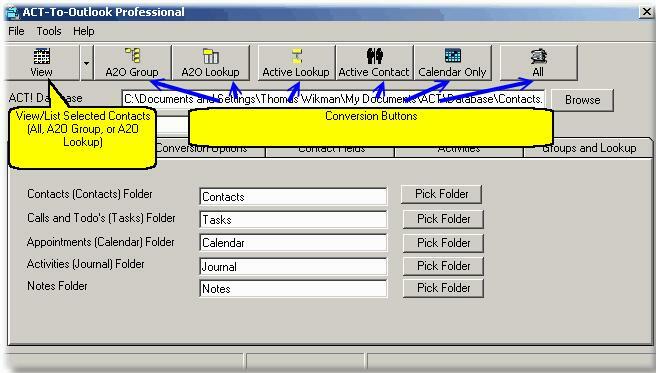 ACT-To-Outlook Professional allows you to convert ACT! databases into corresponding Outlook representations. You can either convert the whole database using the Convert All button (available only when you purchase the product) or selectively convert contacts using the Select option. For evaluation purposes, you are allowed to convert a limited number of contacts. ACT-To-Outlook Professional is run by selecting the Start->ACT-To-Outlook Professional icon from the Start menu.